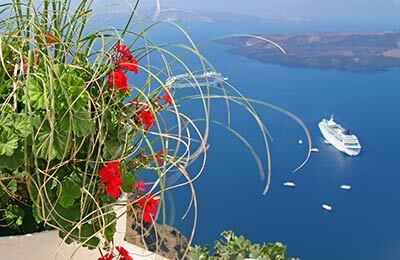 Aegean Speed Lines and ANEK Lines offer Folegandros ferries to Piraeus and other Greek islands on a regular basis. You can find information on the latest departures and sailing durations using the section below, and all the routes can be booked through AFerry. Folegandros has the most varied and wild landscape with high cliff top villages, large caves and pristine pebbled beaches. An array of beautiful white washed houses, stone walls , exotic orchards and vineyards along with pristine with blue waters, colourful wild flowers and smells of wild thyme and oregano sum up Folegandros. Aegean Speed Lines' modern air-conditioned fleet of high speed ships offer a wide range of facilities. You can choose either Business or Economy Class seating and their ships come with coffee and snack bars, shops and internet access. Anek's fleet of 11 magnificent modern air-conditioned ships all offer a full range of facilities on board. You can choose from a range of inner or outer ship cabins with two, three or four beds and on Anek Lines Italy-Greece routes you can even choose a deluxe cabins featuring a sitting room and TV and Internet access. On board a LANE Lines ferry you will find a full range of facilities. In addition to comfortable seating and cabins you will find a la carte and self service restaurants, bars, a cafe, disco, television and video facilities and a shop. Sea Jets run three ships in their fleet: SeaJet2, MegaJet and SuperJet. All the ferries are fast and provide good connections between the different islands and the Greek mainland. Zante Ferries operates three conventional ferries, all fully equipped with modern facilities. Relax in the bar, take in the sights out on deck or simply rest in the airline style seats. Folegandros is a secluded Greek island and does not have loud discos and bars but there are always beautiful little places to enjoy to a quiet meal and drink. Exotic styled cafes, restaurants and taverns in cultivating fields more than make up for the lack of night life. The island is small, and the main town is obviously signposted from everywhere. Folegandros has an area of just 32 square kilometres and is divided into 3 little villages Chora, Karavostassis, and Ano Meria which are all connected by paved paths. With such a great range of ferry companies to choose from, you can find the one that is best for you. 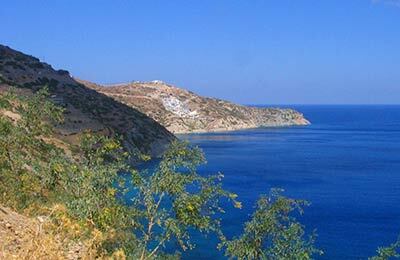 So book your Folegandros ferry simply, easily and securely with AFerry today!